The roast pork belly (thịt quay) here is really good. 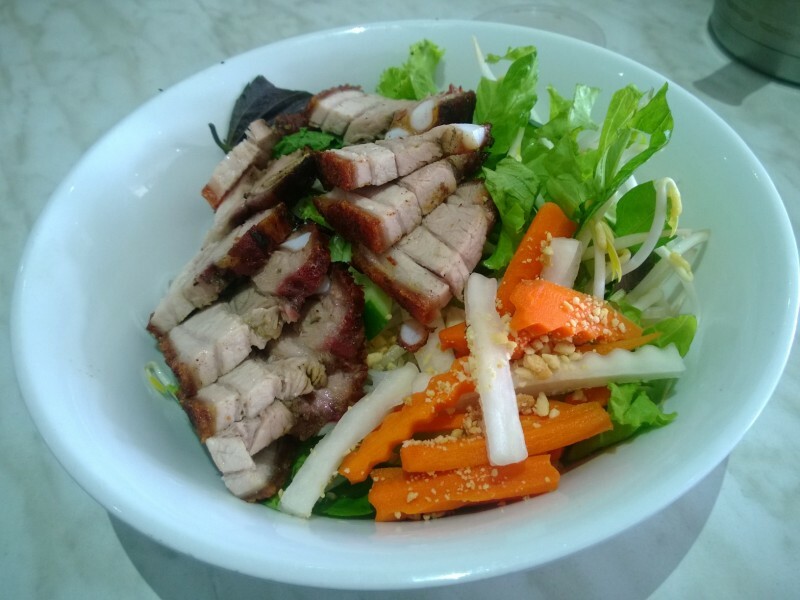 It stands to reason then that by taking a good thing and freshening it up with salad and vermicelli (bún) it will also be good. That would be correct. Thankfully they didn’t manage to stuff it up too badly.